Cloudy with rain developing this afternoon. High 73F. NNW winds at less than 5 mph, increasing to 15 to 25 mph. Chance of rain 70%..
Showers early, then clearing overnight. Low 46F. Winds NNW at 15 to 25 mph. Chance of rain 80%. 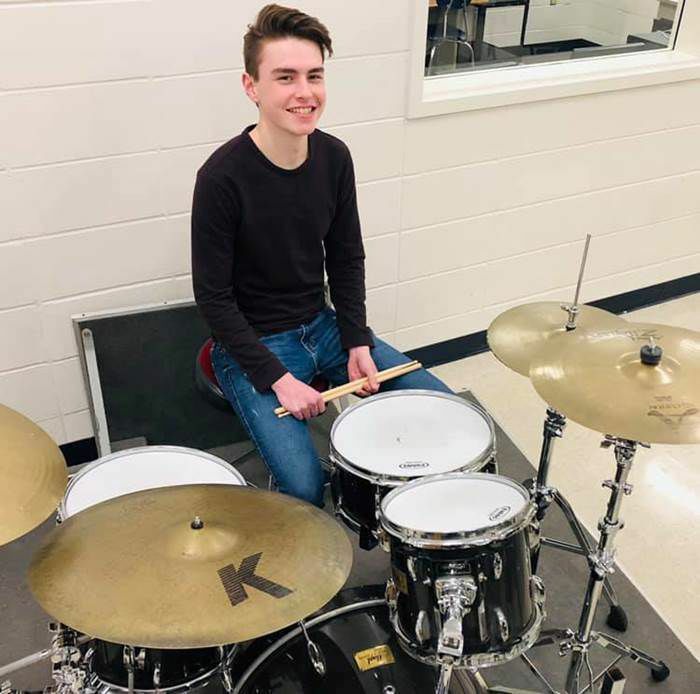 Drummer Jackson Schou, Pleasant Valley, has been accepted to the 2019 Iowa All-State Jazz Band. Jackson is only the fourth Pleasant Valley student to ever be accepted to the All-State Jazz Band. He will perform with the band in May in Des Moines. The Pleasant Valley Community School District is honored to announce that Michele Connelly Black has been named the recipient of the 2019 Pleasant Valley Community School District Wall of Honor Award. The Wall of Honor Program was established in 1999 to recognize distinguished graduates from Pleasant Valley High School. Black graduated from PVHS in 1976 and has spent her life dedicated to Epidemiology and public health in a variety of ways. During her time at Pleasant Valley, Black participated in concert and marching band, Spartan Assembly, track, basketball, Letterman Club and more. She achieved many honors during high school including being selected as an All-State Ensemble and Solo band member, the Outstanding PV Girl Track Athlete of 1976 and the 1976 Graduate Commencement Speaker. After graduating from high school, Black took her ambition to the University of Iowa, where she received her Bachelor of Science in Microbiology and Minor in Chemistry in 1980. Her studies at the University of Iowa, along with her lab work, research and mentors, gave way to Black's major interest in epidemiology, the CDC (Centers for Disease Control) and the EIS (Epidemiology Intelligence Service). This passion led her to get her Master’s Degree in Public Health from UCLA in 1983. Black returned to the University of Iowa to obtain her PhD in Environmental Epidemiology in 1987, and then participated in a one year post-doctoral fellowship at Johns Hopkins University. In 1988, Black was accepted into the Epidemic Intelligence Service, which started her 25 year career as an epidemiologist at the CDC. Black worked in the Division of Birth Defects and Developmental Disabilities, the Division of Environmental Health and the Division of Violence Prevention. Black retired from her civil service job in 2013 to focus on more directly supporting domestic violence survivors and families facing hunger by starting her own small social entrepreneurial company. She now resides and runs her business in North Carolina. PVCSD honored Black throughout a tour of the district during the day and at the Academic Awards Ceremony which was held Wednesday, March 27 at Pleasant Valley High School.